Vitamin C is needed for a healthy immune system, healthy bones, teeth and gums as well as helping to maintain normal blood fat and cholesterol levels. Our daily requirement for vitamin C is higher than for any other water-soluble vitamin. Ideally, vitamin C needs to be taken in small amounts throughout the day and night because it is rapidly lost from the body. 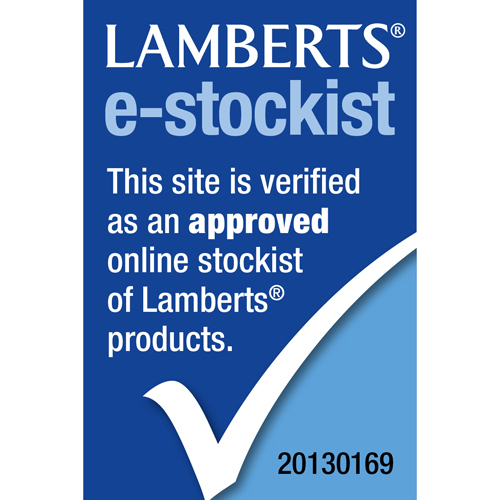 However, this is not always convenient which is why LAMBERTS have formulated Time Release Vitamin C tablets. 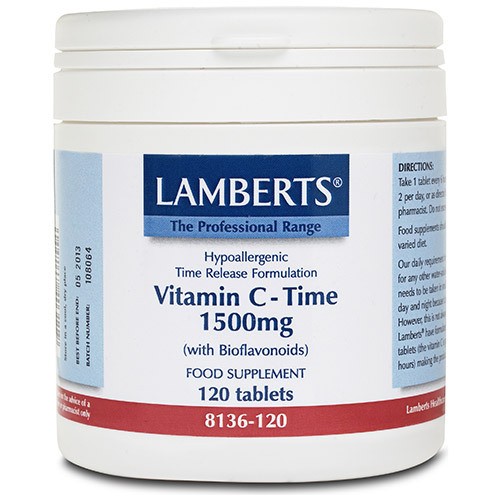 LAMBERTS Time Release Vitamin C 500mg tablets also contain a relevant level of bioflavonoids because they are known to aid vitamin C absorption. A more stable level of vitamin C in the blood for a longer period. Replicates the natural process of food digestion. hypromellose, DiCalcium Phosphate, Stearic Acid, Magnesium Stearate, Tablet Coating (hypromellose, Glycerin), Silicon Dioxide. 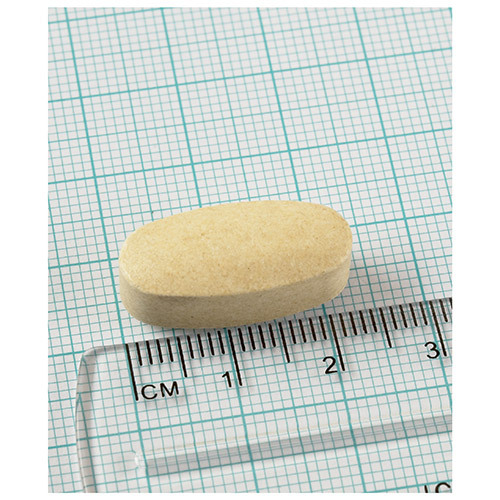 Take 1 tablet every 6 hours, up to a maximum of 2 per day, or as directed by a practitioner or pharmacist. Below are reviews of LAMBERTS Vitamin C Time - 120 x 1500mg Tablets by bodykind customers. If you have tried this product we'd love to hear what you think so please leave a review. Began taking this supplement in 2005 on the advice of my acupuncturist to aid with joint aches and pains due to ME. Have been taking it regularly for nearly 14 years. It's definitely helping because whenever I have tried to avoid taking it for more than a few days, the joint stiffness is worse. It's done wonders for my skin too...at 53 years of age, I have fewer wrinkles than many who are half my age! 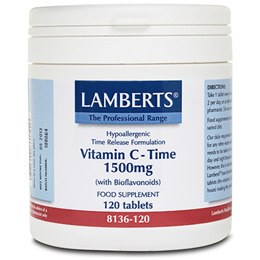 LAMBERTS Vitamin C Time 1500mg is needed for a healthy immune system, healthy bones, teeth and gums as well as helping to maintain normal blood fat and cholesterol levels. In addition to being an antioxidant in its own right.